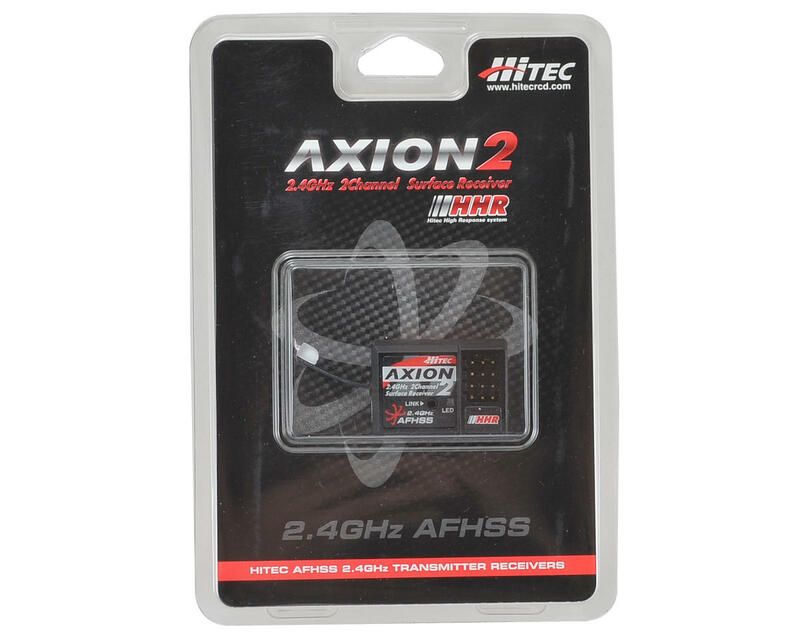 This is the Hitec "Axion 2" 2-Channel 2.4GHz HHR Receiver, only compatible with the Hitec Lynx 4S Transmitter. This race-ready, 2.4GHz micro 2-channel receiver provides the connectivity and performance you expect from Hitec. 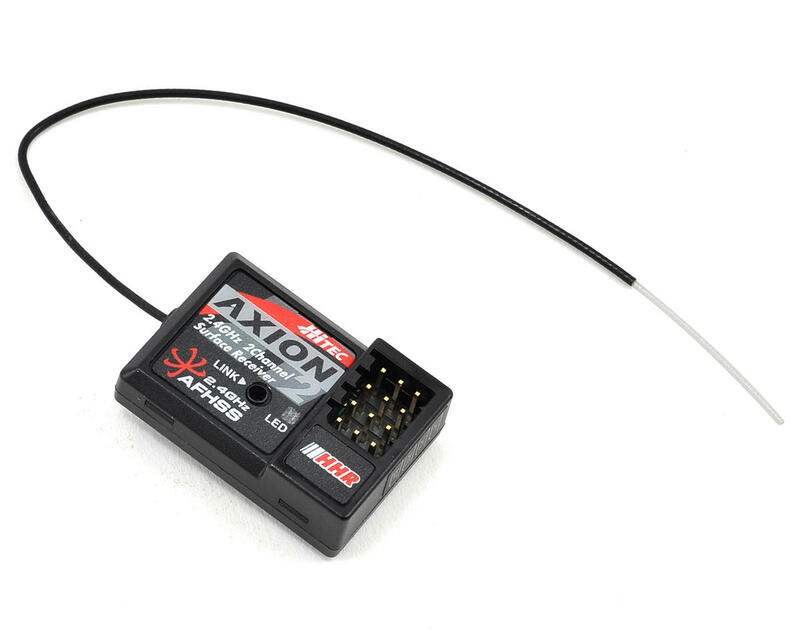 With lightning fast 4ms frame rate and the HHR (Hitec High Response) built-in technology, the Axion 2 leaves the competition in the dust!